LIVE performance of the american singer Cody Wise ! Hands up for one of Dubai’s most popular singles “It’s My Birthday” by Cody Wise and will.i.am. Experience it LIVE with DOLLA on Jan 16th!! To all the fly girls who know what a Tuesday night is all about and to all the people who love URBAN vibes as much as we do! DOLLA rhythm taking over the town! Lineup: DJ Keza, Dj Skinny Loop & MC Money Plus. Dome Lounge from 8pm: Ladies, OPEN BAR & Sushi; complimentary Sushi/table bookings. Join us for a unforgettable dining experience every Tuesday with traditional tapas, cold cuts and Sangria for AED 150 per person. Residents and travellers alike come to Al Hambra to experience not just its extensive menu of authentic tapas and rustic regional Spanish cuisine, but for its lively atmosphere too. It’s a perfect setting for al fresco dining or just to enjoy the city’s best sangrias (served in generous clay pitchers). Lost Angels, a Tuesday Ladies Night to soothe the soul, has been launched at Zero Gravity, the premium beach club, bar, restaurant and lounge. From 8 pm to midnight, the top tier of Zero Gravity will be reserved exclusively for ladies. There, they can enjoy a full four hours of strictly fabulous beverages and help themselves to gourmet girly snacks, for just AED 100 per female. Dishes will change as often as women change their minds – frequently – and include fresh sushi stations, Thai rice paper rolls, quinoa salad, cotton candy and… chocolate shoes! Every Lost Angel would be showered with gifts, Zero Gravity will have gift bags, prizes and some on-the-night spoiling for its Tuesday tribe. Music will come straight from the gods of disco, as DJs move between classic pop, dance and house tracks to get those stilettos tapping. Gentlemen are welcome to join the party on the ground floor during this time, and the entire venue will be open to all after midnight. Calling all independent ladies! Ramusake invites you to join us every Wednesday from 8.00pm where you can expect a night filled with fun in our Izakaya restaurant and lounge. Enjoy free flowing grape until midnight coupled with smooth Hip-Hop and RnB music provided by resident DJ Adam Graca. Whether you want to dance the night away in our Japanese bar or book a table for dinner in our restaurant or terrace, the choice is yours. Put Some Boom Boom Back In Your Life and add a little spice and sparkle to your Wednesday evening, at Maiden Shanghai. Gather the girls, because it’s time for Boom Boom Bubbles. Maiden Shanghai, FIVE Palm Jumeirah Dubai’s exceptional Chinese restaurant, is launching a new way to spend Wednesday evenings for Dubai’s sparkling residents with unlimited Prosecco offered for ladies. And, if you don’t want all the bubbles to go to your head, then things are about to get spicy. Share the great flavours of Maiden Shanghai’s most popular signature dish, Boom Boom Chicken, to soak up the sparkling beverages. Every Wednesday night at Weslodge ladies receive 2 free drinks | ½ off main courses | 2 additional drinks with purchase of a main course. 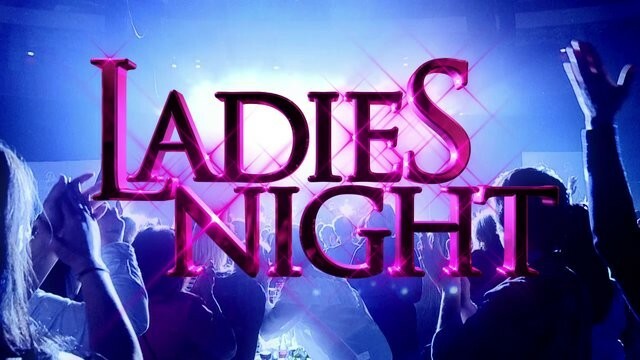 #DubaiRestaurants #MyDubai #DubaiFoodie #DubaiNights#WeslodgeDubai #PassionatelyOriginal #LadiesNight.